Home face flawless foundation nivea nivea aftershave balm primer primer reviews skincare NIVEA Men Post Shave Balm as a primer?!? 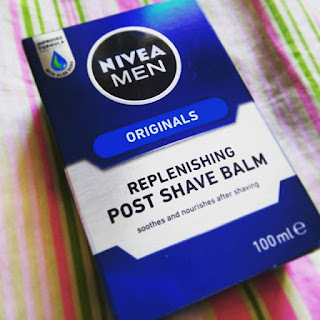 So back at the end of April one of my favourite bloggers NikkieTutorials mentioned the NIVEA Men Post Shave Balm in her April Hits as one of the best face primers she's ever used.. so obviously I was intrigued. I completely forgot to pick up a bottle until last week and I've been using it over the last week to get my own opinion on it. Nikkie used the sensitive one but I tried the original one just to see what that one was like. Because one of the most used ingredients in the aftershave balm is glycerine it means that anything that you put on top of it will cling to it, ie. your foundation will cling to it keeping your foundation last all day long. I put one layer all over my skin and then a tiny bit more in the areas of my face that my foundation usually comes off during the day. I waited for it to dry a bit before applying my make up, it becomes kinda sticky on your face but once I started applying my foundation I noticed the difference to my normal primer. My foundation looked absolutely flawless and managed to stay perfect all day long, even in the areas of my face that would normally be extremely oily! Super impressed with how well this worked, I felt like I had an expensive primer on it worked that good! I bought mine in my local pharmacy for €3 which is an absolute bargain compared to what I'd normally spend on a primer. So impressed with how well this worked for me and I'll definitely be repurchasing, thanks to NikkieTutorials for the heads up!